There are two mantras that we live by here at the Centre. One, “We help our customers create successful events,” and the other, “Our people are the centre.” Staff is recognized throughout the year in a variety of ways, but the one I want to talk about today is an annual event – and this year’s celebration was particularly special. Every year, we host our Long Service Awards, a ceremony that celebrates those staff members marking 5, 10, 15, 20, 25, and – marked last year for the first time ever – 30 years of service with the Centre! This year we welcomed a special guest to our recognition event. Hosting the affair was none other than Breakfast Television’s Kevin Frankish. A longtime supporter of the hospitality industry, Frankish has served as host and emcee for the Greater Toronto Hotel Association (GTHA) Spirit Awards. And because we have had the pleasure of housing these awards ceremonies, we got to witness firsthand, year after year, Frankish’s genuine delight in being part of this event. His appreciation for front-line hotel staff throughout the city was apparent in every moment of the events. What’s more, oftentimes Frankish would pause his hosting duties to invite our front-line staff members serving guests at the event to take a seat – all so he could trade roles with them and bus tables. Frankish’s natural charisma and respect for the hospitality industry and its workforce prompted us to invite him to act as host at our Long Service Awards, and we were thrilled when he accepted our invitation! 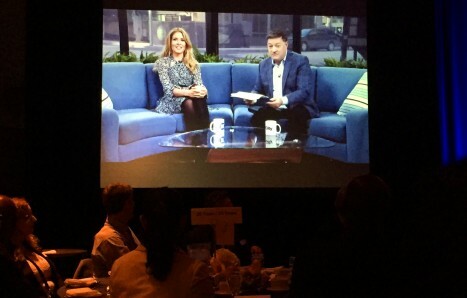 Breakfast Television co-host Dina Pugliese also made an appearance at our awards event by way of a pre-recorded video where she joined Frankish on the BT set to chat about the Centre. 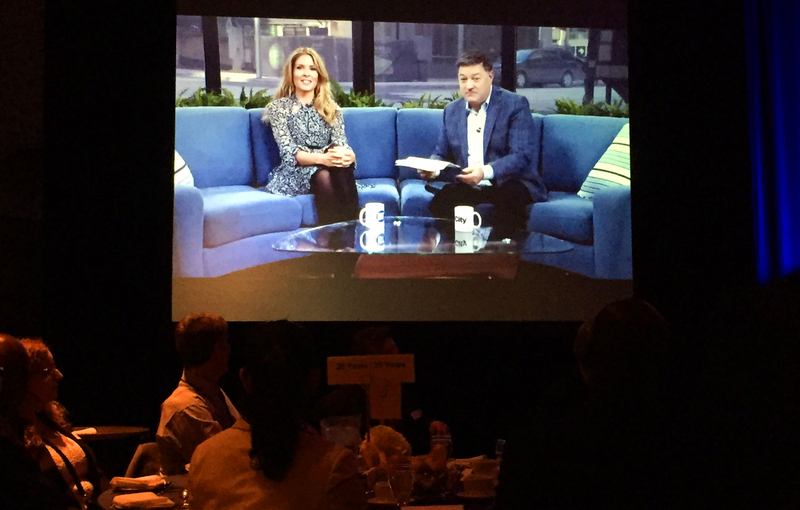 Breakfast Television’s Kevin Frankish and Dina Pugliese chat about MTCC’s employees in a pre-recorded video featured at the Long Service Awards, Thursday, Feb. 4, 2016. This sentiment rang true with us; when teamwork and camaraderie develops so naturally among event professionals, it not only creates a positive work space, but it also establishes an environment that allows us to truly help our customers create successful events as well. MTCC employees marking their time at the Centre are celebrated on stage at the 2016 Long Service Awards. Read what our VP of Human Resources has to say about our Long Service Awards here. Congratulations to all the recipients! Sounds like a great place to work!